Have You Considered a Career in the Trades? Growing up, we’re often asked what we want to do when we get older. Common answers involve doctors, lawyers, and even CEO’s. Rarely are we led to pursue jobs such as becoming a tradesperson—that is, an individual who works in HVAC, plumbing, or electrical service. You may be surprised to find, however, that these are all very rewarding career paths, both in terms of finances and the feeling of a job well done. A few years back, Mike Rowe—creator of Dirty Jobs and Somebody’s Gotta Do It—was interviewed in the HVACRBusiness magazine to discuss the labor shortage and lack of focus on the trades, which has improved but is still a struggle today. But it’s not for lack of opportunity. As Rowe discusses, there is a lot of focus put on a formal education, and therefore many individuals coming out of high school assume that’s the direction they need to go, and may not ever even consider trade school, and pursuing a career as a service technician, as an option. Posted in Announcement | Comments Off on Have You Considered a Career in the Trades? 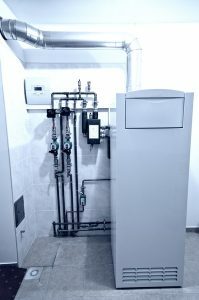 When it comes to heating in Spokane, WA, you need a system that will perform as effectively and efficiently as possible. Considering that most of our year is cool, you don’t want to be stuck without a fully functioning heating system in place. You also don’t want to be stuck paying for much higher energy bills than you should be. One way to ensure this isn’t the case is by scheduling annual maintenance for your heater, which we hope you did in the fall. Another way is by following up on repair needs ASAP. We have some good news, too. Boosting your heating efficiency doesn’t just require you to invest in what can be costly HVAC services. There are simple things you can do around the house to boost that efficiency (and therefore, the cost effectiveness) of your heater. Keep reading to learn more! Before winter starts each year, we encourage—well, we urge—our customers to schedule furnace maintenance with professional HVAC technicians. The reason for this is because a maintenance tune-up helps our technicians spot small problems before they grow into much bigger emergency needs. The last thing you want is to be stuck with a broken down heater right when you need it the most, right? 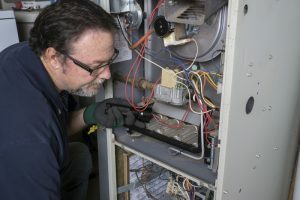 Just like any other large appliance or piece of equipment, though, your furnace won’t last forever—even with maintenance! So, at what point do you stop depending on maintenance tune-ups and furnace repair in Spokane, WA, and instead choose to replace your furnace altogether? This is a question we’re going to answer below, and it’s probably the biggest question you’ll ever have to face with your furnace system. Fortunately, you aren’t alone in making this decision—our team is here to help you make an informed choice.